Domo's favorite food is Japanese-style meat and potato stew, and he has a strong dislike for apples, because of an unexplained mystery in his DNA. 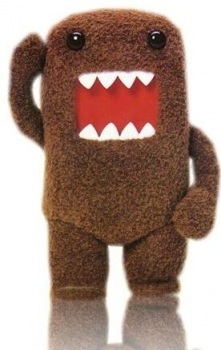 Domo can only communicate via producing a low-pitched noise which sounds somewhat like his own name, but other characters appear to understand him. Domo is known to pass gas repeatedly when nervous or upset.